Well, here's some superficially good news. 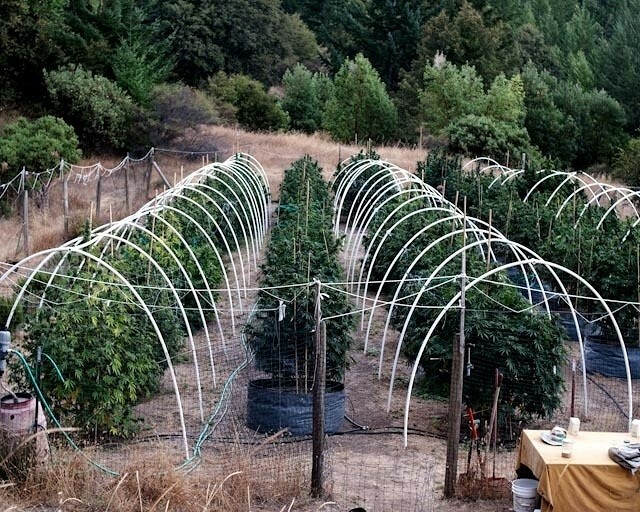 The feds' precedent-setting fishing expedition into Mendocino County's legal medical marijuana growers' program has been significantly narrowed in scope. No personal identifying information from the County's famed 9.31 program will be released to U.S. Attorney Melinda Haag and her office. It sounds like some good news for Emerald Triangle growers who had come out of the cold to be a part of the Sheriff's Office program - which permitted medical marijuana gardens of up to 99 plants with registration, inspection and fees. Back in October Haag's office sent out a chilling subpoena to the County demanding pretty much everything on 9.31: names and locations of pot gardeners, county bank records, "any and all" legal correspondence, etc. The grand jury subpoena stepped all over medical record privacy laws, and the attorney client privilege, lawyers in the case noted. Instead of rolling over on its growers, the County stood tall in December, retaining a San Francisco lawyer to fight the subpoena. The county's counsel made a motion to quash the subpoena, but a hearing on that motion never occurred as both parties talked it out in private. Tuesday, Mendocino Supervisor John McCowen wrote to a group of affected parties that the county had reached an agreement with the rogue U.S. Attorney. "An agreement has been reached which voids the need for further court action," he wrote. "No personal identifying information will be reported to the U.S. Attorney." Without personal information, it's still unclear what Ms. Haag is going to get, and we never knew what she was after in the rural pot-growing epicenter several hours north of San Francisco. Haag has helped run an 18-month-long federal crackdown on medical pot businesses in California — the height of which includes the Mendocino subpoena and ongoing forfeiture proceedings against Oakland's Harborside Health Center; the largest marijuana dispensary on the planet.